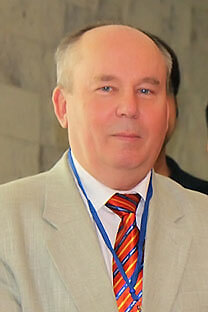 Mikhail Kalinkin, rector of the Tver Medical Academy. Russian institutions of higher learning are expanding their cooperation with India, offering scholarships and so on. Why does Russia want to draw Indian students? Let’s talk about medical schools, like the Tver State Medical Academy. In India, medical education has traditionally been in great demand. That's why several Russian medical universities have come to this year’s fair, including our academy. The Tver State Medical Academy currently has between 4500 and 5000 students. Of these, some 1200 are foreigners from sixty countries, including 700 to 800 Indians. So most of our foreign students come from India, followed by those from Arab nations and Sri Lanka. Graduates of our academy are working in almost every country in the world. What do universities do to attract foreign students? And why do these students choose to study in Russia? The training for a number of professions is cheaper in Russia than in other countries. It's even cheaper than in India. Moreover, in Russia, one can train for professions that are not taught in India. These include professions in the aviation industry and in oil and gas. The Tver State Medical Academy, like many famous universities, is helped by its name: people have known about us since the Soviet times. And now information is disseminated very quickly — via the Internet. Graduates and students gladly share information and talk to each other about everything: conditions in the student dorms, the procedure for taking exams, etc. For example, none of our new students are afraid of the “terrible” Russian winters, as I’ve already said. They learned that the winters aren’t really so terrible from the Internet. The students who come to study at TGMA know that we provide a classical fundamental education that is useful to any sort of medical specialist. I consider that we have the optimal ratio of cost to quality of education. Are the medical degrees of Russian-trained Indian doctors recognised in India? Several years ago, the Indian Medical Council made it a requirement for all doctors trained abroad (in any country, be it Russia, the United States or Great Britain) to take a qualifying exam in order to work in India. Incidentally, this fact, I think, helped to increase the demand for a Russian medical education. Now there is certainty: graduates of any foreign medical school must take a standard qualifying exam. This is a fairly common international practice. For example, a doctor must know the trade names of medicines in India — abroad, you see, these medicines may be known by other names. An Indian doctor must know the local diseases and he must, of course, confirm his knowledge. But the examiners are human, and they may have certain stereotypes and prejudices. That is why I always say once you get a solid education, then no exam is scary. We know of hundreds of graduates of Russian universities not only working in different countries, but also attaining great heights in their careers. Moreover, some institutions, like ours, prepare students ahead of time not only for the Russian exams, but also the Indian qualifying exam. The professors teach additional classes devoted not only to our textbooks, but also the Indian state standards in Indian textbooks. They do the same for students from other countries. Several years ago, there were cases of aggression by nationalists with respect to foreign students in Russia. And there have been fires in student dorms. What is being done to handle these problems? There are security structures in place where foreign students are studying. In case of problems, these structures respond immediately. In their turn, they make an effort to explain to students at the outset what is done and what isn’t in Russia, what is recommended and what isn’t. Of course, we all remember the terrible fires in student dorms several years ago. At the time, I called a meeting of our students and told them of the possible consequences of a careless attitude toward fire rules, be it an iron that is left on or a cigarette that is not put out. In our academy, as in other institutions of higher learning, we conduct trainings. Almost every university takes strict disciplinary action against violators, especially smokers and students who misbehave in public places. We get in touch with their parents and take disciplinary action. All this concerns Russian and foreign students alike. They are all young, and if they are living in a dorm, they are cut off from their family and not insured against making mistakes. Still they know very well that the strict rules are in place for their own good and safety.